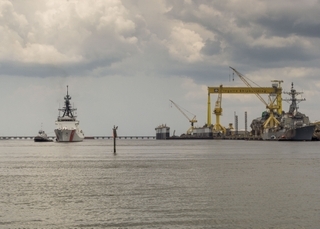 PASCAGOULA, Miss., July 14, 2015 (GLOBE NEWSWIRE) -- The National Security Cutter James (WMSL 754) sailed away from Huntington Ingalls Industries' (NYSE:HII) Ingalls Shipbuilding division on Sunday—just one month after being delivered to the United States Coast Guard. "James is an excellent ship and another example of the outstanding work accomplished by our shipbuilders," said NSC Program Manager Derek Murphy. "Through serial production in this program, each successive ship continues to come down the learning curve. The quality remains world-class, as proven by the substantial reduction in the number of trial cards with each successive ship in the class. Ingalls shipbuilders have once again delivered an NSC that will continue to protect our nation for the next 40 years." James will be commissioned on Aug. 8 in Boston. The ship will then be stationed in Charleston, South Carolina, alongside Ingalls' fourth NSC, Hamilton (WMSL 753). 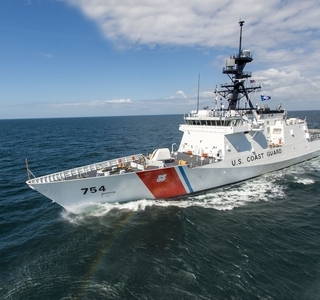 "I am humbled by the diligent work of our shipbuilders to build and deliver another huge asset in the U.S. Coast Guard's fleet," said Jim McKinney, who was the ship program manager for NSC 5. "The success of this program could not be realized without their hard work and dedication. The Coast Guard is getting another quality cutter built by the best shipbuilders in the world." Ingalls has delivered five NSCs and has two more under construction. Earlier this year, Ingalls was awarded a construction contract for an eighth NSC. NSC 5 is named to honor Capt. Joshua James, one of the world's most celebrated lifesavers. His lifesaving experience began at age 15 when he joined the Massachusetts Humane Society. Over the next 60 years, he was credited with saving more than 600 lives. When he died at age 75, he was still on duty with the U.S. Life-Saving Service, which later merged into the U.S. Coast Guard. 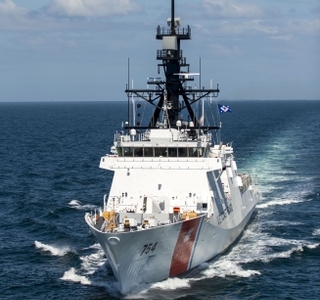 National Security Cutters, the flagships of the Coast Guard's cutter fleet, are designed to replace the 378‐foot Hamilton-class high-endurance cutters, which entered service during the 1960s. NSCs are 418 feet long with a 54-foot beam and displace 4,500 tons with a full load. They have a top speed of 28 knots, a range of 12,000 miles, an endurance of 60 days and a crew of 120.